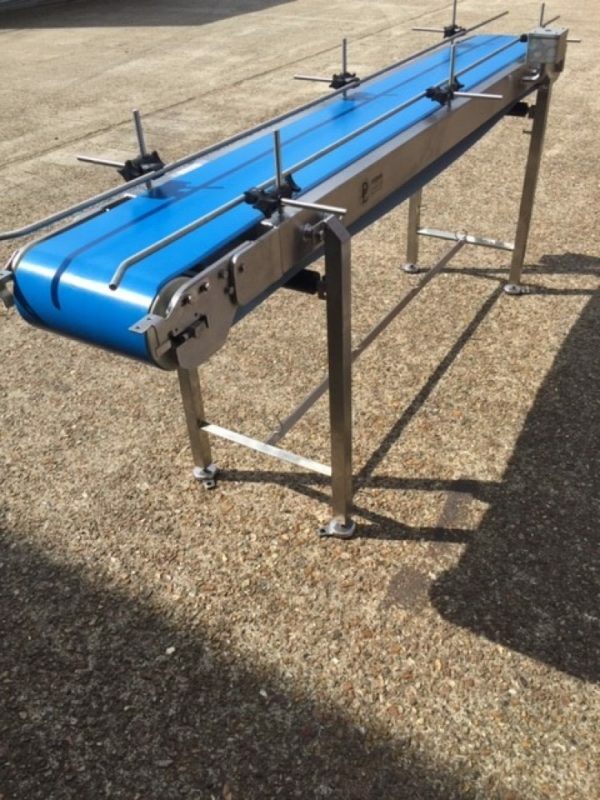 The Dodman range of Weigh Belt Conveyors are typically placed in-line to weigh a range of products. The weigh belt monitors the passage of material whilst maintaining a constant speed at throughputs of up to 15 tonnes per hour. 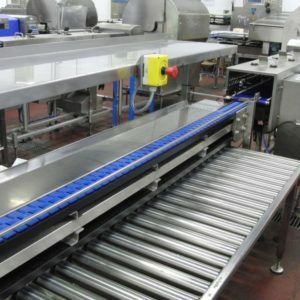 An endless polyurethane ‘troughed’ belt conveyor mounted on a braced rigid frame takes the product over an integral weigh bed section. The unit is supported on an open framework. A microprocessor-based weigh controller conditions load cell and belt speed signals to generate outputs of rate (tonnes/hr., kg/m) and total weight conveyed. The weighing system is repeatably accurate to +/- 1%. A full range of ‘soft’ belt types including single and multiple ply polyurethane, high-temperature polyurethane, PVC and silicone. Standard weigh belt widths 200, 250, 300, 400, 500 and 600mm. 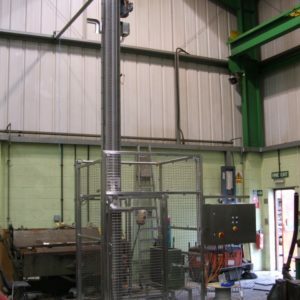 Alternative widths are available to suit specific applications. 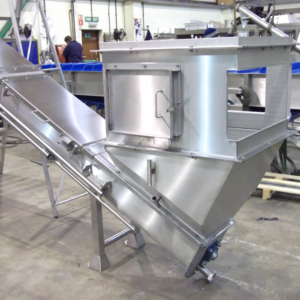 Weigh Belt options include: tracking strips, surface profiles and sealed edges for improved hygiene. Availability of options is dependent upon belt type and application. Drum or gear motor drives with direct on line or variable speed controls. 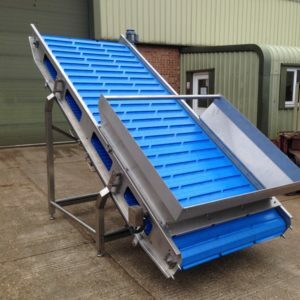 Optional extras include: belt tension quick release, cantilever construction for fast cleaning strip down, knife edge and small diameter transfers. 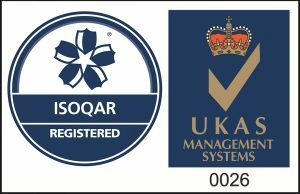 We are also pleased to offer the latest in Intralox Thermodrive products to deliver the ultimate in hygiene and low maintenance performance.